In September of 2008, SheKnows writer Patricia Bathurst interviewed Phoenix resident, Jen Hoffmann and told her story. Sadly, Jen passed away on April 21, 2009. 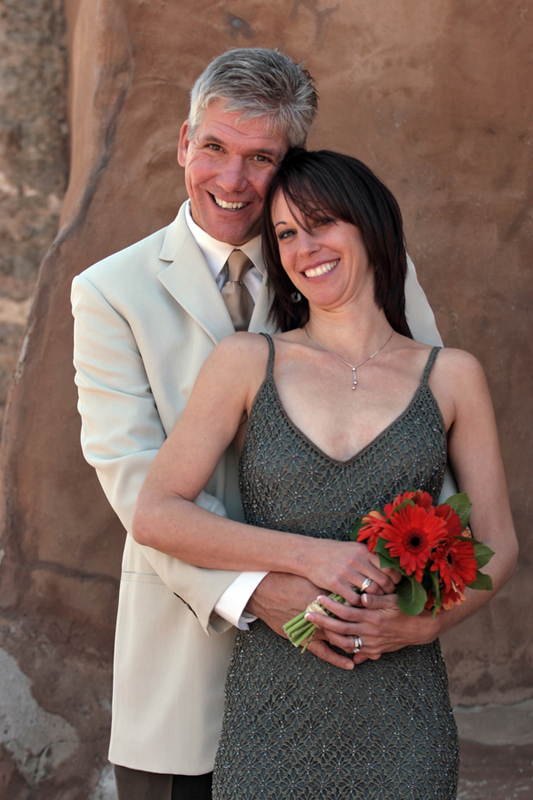 Below, find Jen’s story, as well as a note from Greg, her husband that he wrote after her passing. 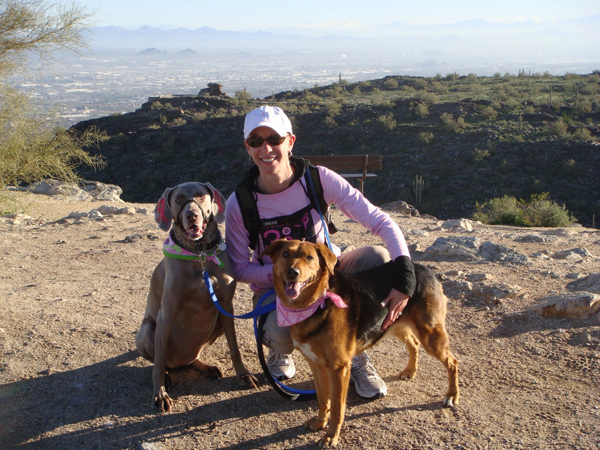 Jen Hoffmann, of Phoenix, Arizona, wasn’t supposed to have breast cancer. (Well, who is, really?) She was only 28, and no one in her family had any history of breast cancer. But there it was. Diagnosed in 2000, she determined that when she got through her treatment, she was no matter what, going to become healthy and active again. By 2004 she said she was feeling healthy again. 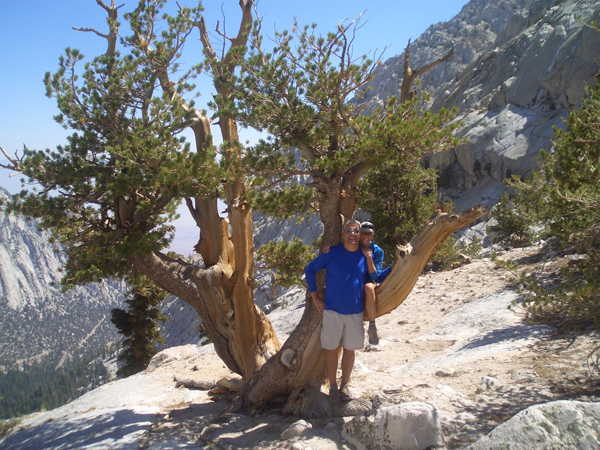 She was exercising and hiking regularly. Then she saw the notices about the first 3-day walk to be held in Arizona. She also did all of her own fund-raising that first year. But when she determined to walk a second time, she became more active and vocal in her fund-raising, sending out letters and also talking about her plan every time she went out. In fact, she even talked about it when she went out with some girlfriends to a local watering hole while looking for more donations. One evening she was enthusiastically talking about the walk and her participation when a pleasant, nice-looking fellow who knew one of her girlfriends asked her to send him more information through an email note. He sent a donation – and asked her out. By the time Jen did her third walk, he was walking with her. He stood by her too later that year when she was diagnosed with a recurrence. 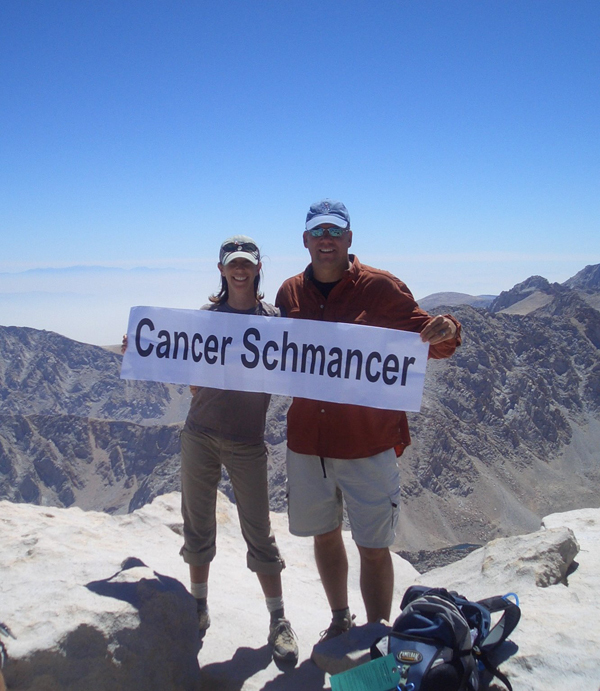 Between August and December of last year, Jen underwent 20 more weeks of chemotherapy. She walked anyway with her new husband and his brother and sister-in-law at her side. Last winter after her course of chemotherapy, Jen Hoffmann had surgery to remove both ovaries that both contained cancer. As of her last PET scan, she’s now Stage IV and disease-free. On April 21, 2009, the world lost one of the good ones to breast cancer. My wife, Jen Hoffmann, after a 9-year battle with the beast, elegantly unlaced her gloves and did what all of us should aspire to do — she left the world a better place. Much more than just a survivor, I called her my “thriver.” Literally and figuratively, she climbed mountains, and while doing so, she inspired thousands, courageously fighting a disease that just wouldn’t let go, reminding us all what a precious gift it is just to be alive. 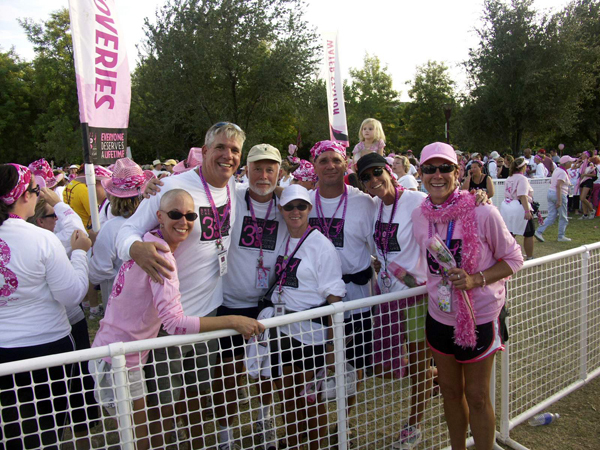 Never a woman dying of cancer, she was always a woman living with cancer — and oh how she lived. 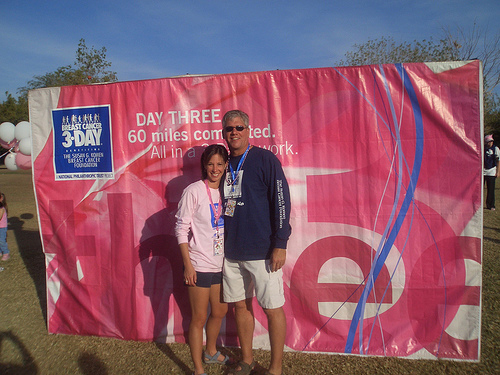 She was a five-time participant in the Arizona Breast Cancer 3-Day, and the team she founded, Team THRIVR, will once again hit the pavement in November 2009, determined more than ever to raise money to find the cure. We’ll walk with heavy hearts, and we’ll walk with the sweetest memories of a life well-lived. We’ll walk, because everyone deserves a lifetime — and because far too often, not everyone gets one. Godspeed, beautiful girl. Thrive on.